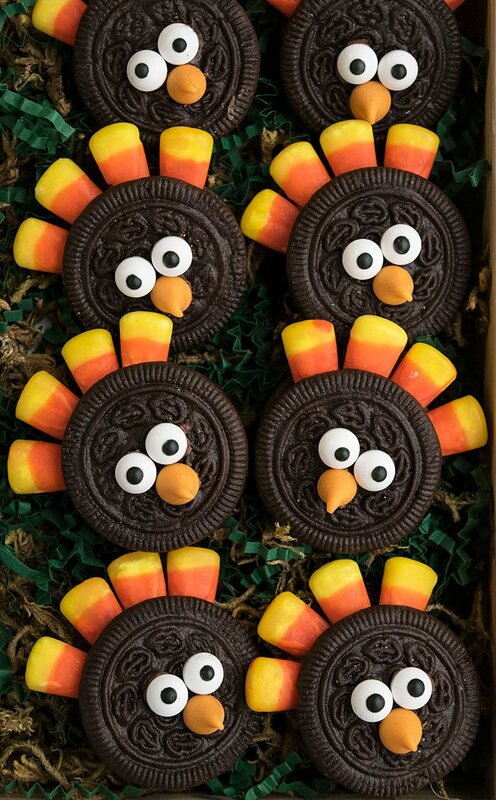 Quick and easy turkey cookies, made with simple ingredients like Oreos and candy corn. 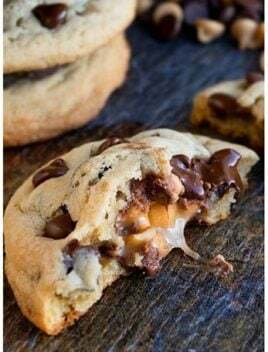 These Thanksgiving cookies are fun to make with kids. I have been making these simple turkey cookies with my son and all the other little kids in the family for a few years. It’s become a family tradition for Thanksgiving. If you are fond of turkey treats, be sure to check out this Turkey Cake and this Turkey Cake Topper. 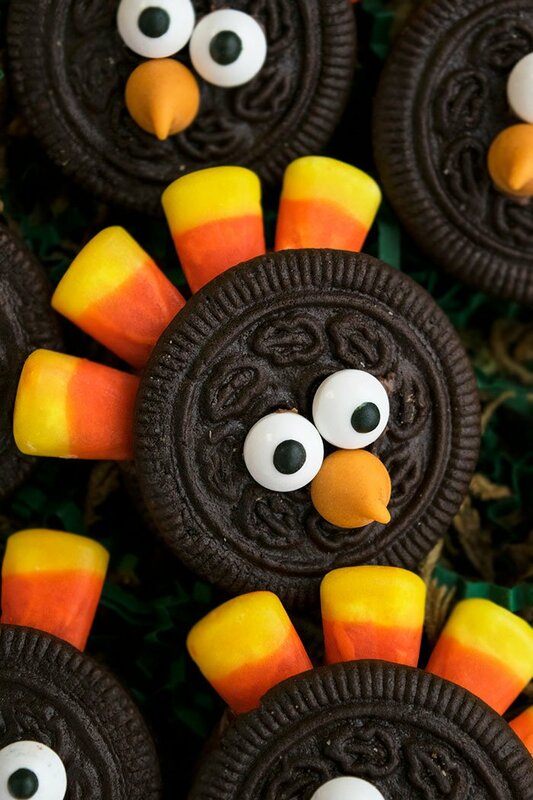 These Oreo turkey cookies with candy corn are great for kids! These easy turkey cookies are ready in 15 minutes! They are no bake and you only need 5 store-bought ingredients to make them. How to make turkey cookies? Open an Oreo cookie in half. 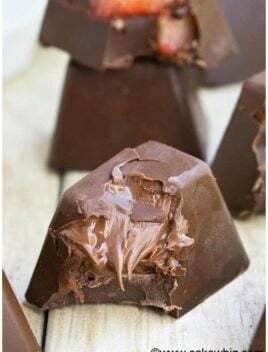 Pour some melted chocolate on one side. Stick a few candy corns. Place the other cookie on top and stick it together. 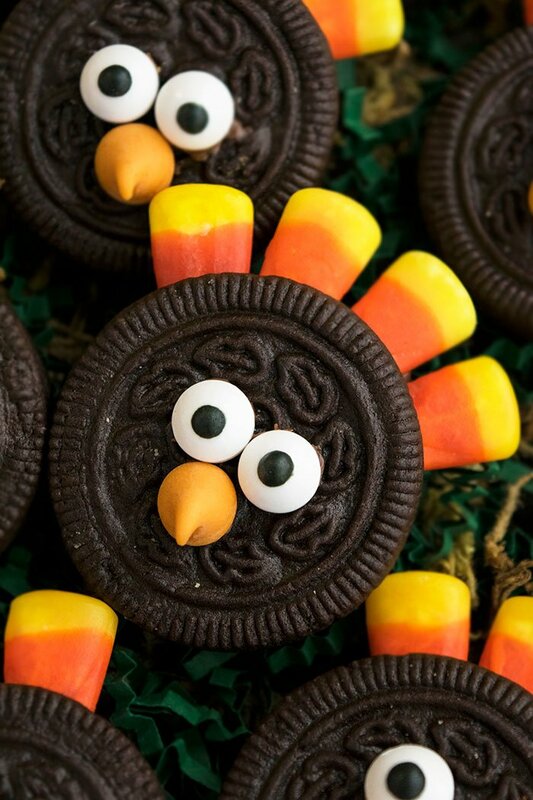 Decorate the turkey face with candy corns and eyeball candies. Instead of Oreos, any other brand of chocolate cream filled cookies can be used. Eyeball candies can be ordered online from Amazon or Wilton or they can be found in the baking aisle at most grocery stores. Don’t use frosting to stick assemble everything because it’s not very secure and does not dry hard like chocolate. Also, frosting is more messy for kids. No cutters are required for recipe below, making them so simple to assemble. These cookies are decorated with candy corns, pumpkin chocolate chips and eyeball candies. You can also add mini pretzels for turkey legs. 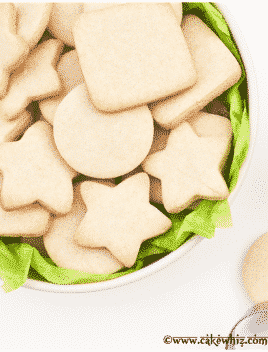 Prepare this small batch of sugar cookies recipe and then roll it out. 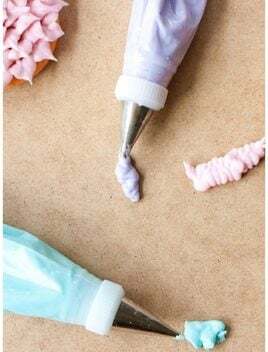 Use a cutter to cute out turkey shapes and decorate with the best royal icing recipe. Instead of Oreos, you can use fudge stripe cookies but I think Oreos look the best. 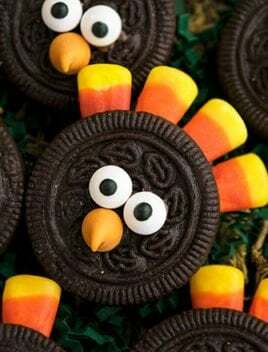 Just do a Google search or Pinterest search and you will see many Thanksgiving cookie designs to inspire you. 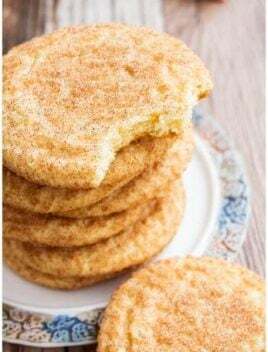 These Acorn cookies and these Easy Fall Cookies (Leaf Cookies) from my blog archives are two other cookie designs that are also perfect for this holiday. Separate an Oreo cookie so that you have one cookie with filling and one without filling. 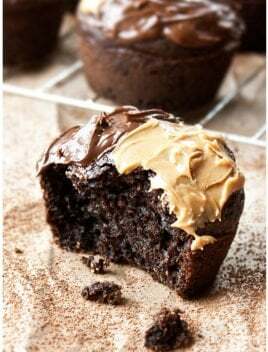 Pour some melted chocolate on the side with filling. Arrange the candy corns in the shape of feathers. Place the other cookie on top and press gently to stick everything together. Use melted chocolate to stick eyes and chocolate chip beak on top of the Oreo and you are done. Leftovers can be stored in a plastic container at room temperature for up to 2 days.